Retired Air Force Staff Sergeant John Watson, of North Cape May, with family, is moved by a presentation of a Quilt of Valor to him by the South Jersey Quilts of Valor Foundation. 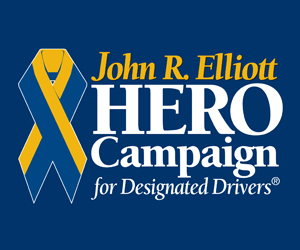 Instead, he was moved to tears by a gesture by Ashley, and from the work of members of the South Jersey Quilts of Valor Foundation, when he walked into the Seaville Fire House on Saturday afternoon. 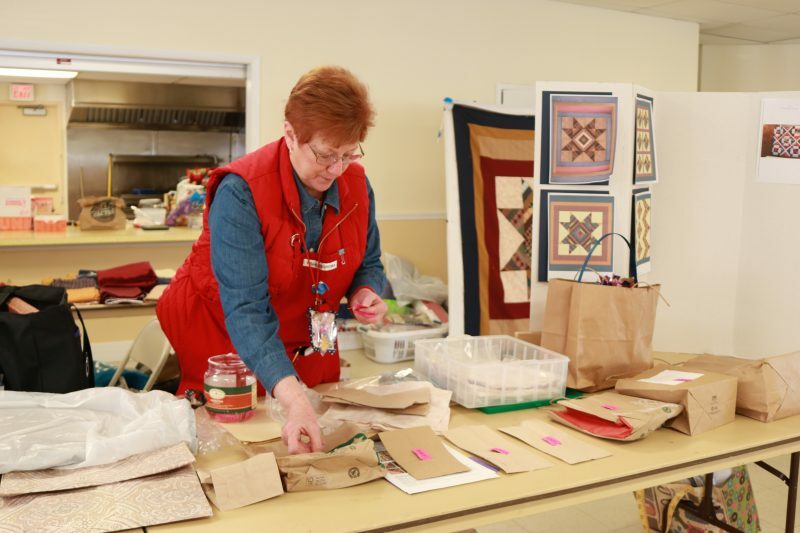 Quilters work on their special gifts for the veterans. 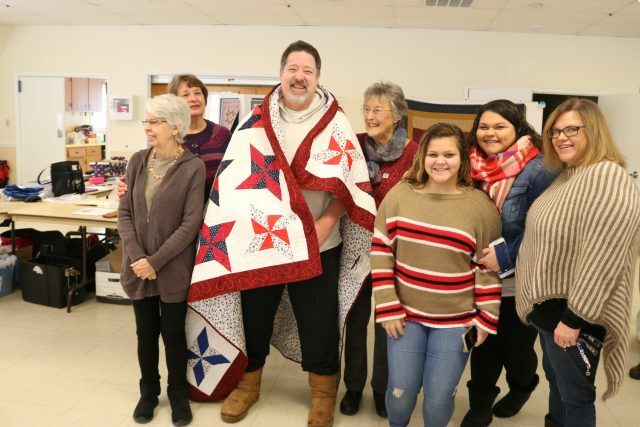 “I’m overwhelmed by the work that was put into my quilt and by the work they put into all of the quilts,” he said. 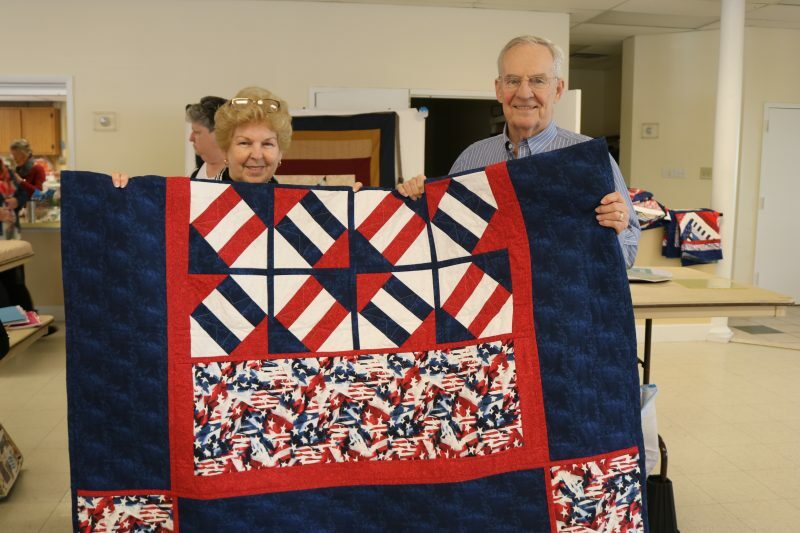 Retired Army Corporal Bill Giambatista, of Egg Harbor Township, holds up his new quilt with help from his wife, Gini. 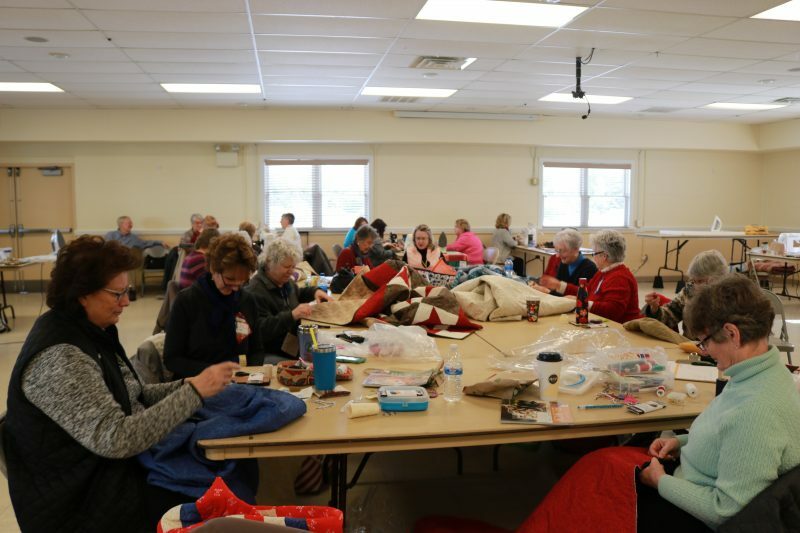 She and Liz Barrett, of Upper Township, who is an active member of the local Quilts of Valor Foundation, sat together, chatted and sewed some vibrant pieces they put together to one day be given to a service man or woman to honor them and show them gratitude. 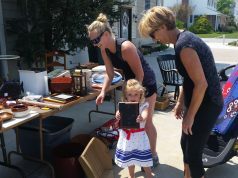 Liz Barrett, left, of Upper Township, and veteran Diana Easterday, of Mays Landing, work on their pieces. 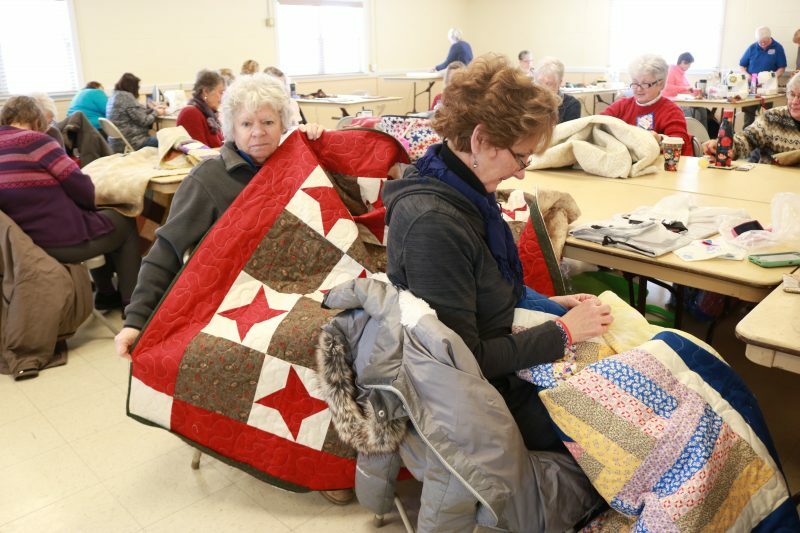 Barrett said she has presented quite a few quilts over the years. 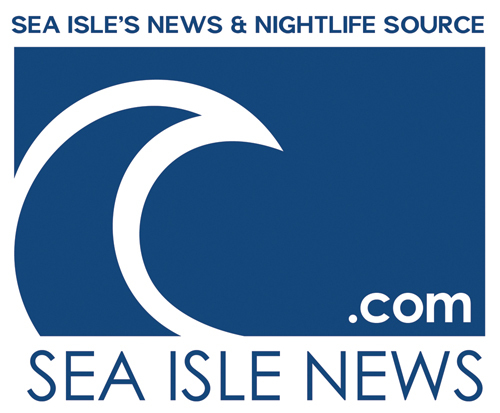 She recently honored Vietnam veteran Ronald DelOrefice with a quilt during a Sea Isle City Council meeting. South Jersey Quilts of Valor Foundation member Ruth Ann Bosworth calls out the raffle winners. 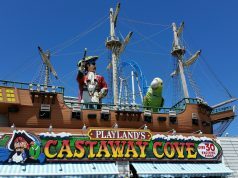 Kathy Tweed, of Cape May Court House, said her family members served in the military dating back to the Revolutionary War. She likes to do some things the old-fashioned way. She uses a 1940s sewing machine, once her mother-in-law’s machine, to create quilt pieces.